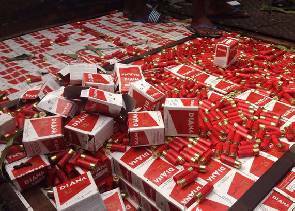 Custom officers in Aflao of the Volta region have impounded a vehicle with over one million packs of short cartridges or bullets together with sealed packs of dried leaves believed to be Indian hemp. 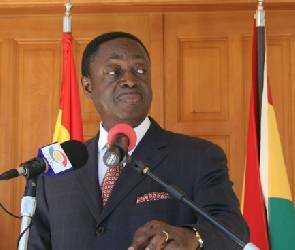 According to officials, the same vehicle has made about six entries into Ghana per the records, and it is feared the same items were being cart into the country from either Nigeria or Togo. The Custom officials revealed to Accra-based Citi FM the items were concealed in a compartment on the floor of the vehicle. They said two officers stopped the vehicle with registration number KTU 444 SB at the barrier and upon interrogation pressed for further checks on the vehicle. Following the inspection, it came out that the occupants have concealed the ammunition in the compartment. The three occupants in the vehicle including the driver are on the run. Officials of custom are yet to brief the media with more details.